6 Healthy Summer Desserts Guaranteed to Take You To Your Happy Place! Enjoy 6 Healthy Dessert Recipes That Are Sure to Take You to Your Happy Place on a Warm Summer’s Day! While trying to adhere to a healthier lifestyle, not much can sooth the soul like a refreshing dessert! Below are a few of my favorite Gluten, Dairy and Soy free desserts. So enjoy and be sure to share the happy! In a small bowl, whisk together ½ cup of the coconut milk and the arrowroot powder. In a small saucepan over medium heat, combine all remaining ingredients until it starts to bubble, then stir in the arrowroot/coconut mixture and whisk very well for about a minute or until thickened. You’ll feel it in your arms, but you should also be able to see the whisk leaving a trail in the mixture! Remove from the heat and let the mixture cool. Whisk again vigorously (the mixture may have gotten a little thick, so whisk very well!) then fill your Popsicle molds and freeze until solid, at least 3 hours. In a small bowl, combine the coconut milk, vanilla extract, and salt. Place the coconut sugar and water in a small saucepan over low heat, and, stirring constantly, heat until it starts to bubble a little around the edges. Quickly add the coconut milk mixture in one go, turn up the heat to medium, then simmer for about 10 minutes, whisking every minute or two, until the mixture has thickened slightly. It may splatter a little! Remove from heat and let cool completely, whisking every so often as it cools to prevent lumps. Combine dark chocolate and coconut oil in a small saucepan over medium heat, stirring constantly, until smooth. Let cool slightly before using. Remove the frozen popsicles from their molds. Place the salted caramel into one bowl, the chocolate coating into another bowl, and have your chopped toasted almonds nearby. Prepare a sheet pan lined with parchment paper at the end of your ‘assembly line’! Dip a Popsicle into the salted caramel, flipping the Popsicle to make sure everything is coated. Wait about a minute whilst turning the Popsicle constantly until the caramel sauce has hardened, then quickly dip it into the chocolate coating. Again, make sure the whole Popsicle is coated in chocolate! Quickly sprinkle both sides with chopped toasted almonds, then wait about 30 seconds for the chocolate to set and place the Popsicle onto the prepared sheet pan. Repeat with the remaining popsicles. Store any leftover caramel sauce in an airtight container in the fridge for up to 5 days. Any leftover chocolate coating can be poured into ice-cube trays, frozen, and re-melted at a later date for an instant chocolate sauce. When you’re done coating all the popsicles, eat immediately or place into an airtight container in the freezer for up to 6 weeks. Place the milk beverage, strawberries, dates, ice, cashews, lemon juice and zest in a high-speed blender* and blend on high until creamy and smooth. Taste test and blend in your favorite sweetener (such as stevia, honey, or agave nectar) to taste. *If using a blender that is not high-speed, soak the cashews in water at room temperature for 2 hours. Drain and prepare the smoothie as directed. In a food processor with the S blade attachment, add all the ice cream ingredients (except the coconut shell ingredients). Process until it forms a pink cream with no more lumps of berries – about 1-2 minutes on medium speed. Place your silicon mold onto a tray or hard surface that can be easily fitted into your freezer. As you will fill in the silicon mold with soft ice cream, the hard surface placed under the mold will make them easier to carry to the freezer. Fill the silicon mold until the top. There is no need to grease the mold. Place the mold into the freezer overnight or until fully freeze. Prepare a plate covered with baking paper. Set aside. When the ice cream are ready prepare the coconut shell. In a small saucepan, under low heat melt the coconut oil, maple syrup and coconut butter. Keep stirring gently to avoid the mixture to burn. Do not microwave or the coconut butter will burn. When the mixture is lukewarm and liquid transfer into a small bowl. Remove the ice cream bars from the freezer and unmold by pushing the ice cream bars out of the silicon mold. Place the ice cream onto the prepared plate and using a tablespoon cover the bars with the coconut liquid. As the liquid is lukewarm and the ice cream cold it should harden very quickly. If desired, sprinkle some coconut chips and frozen raspberry on the top of the ice cream bars before the coating harden. Repeat until all the bars are covered with the liquid. Return the plate to the freezer until the shell has completely harden. If you have some leftover of coconut shell mixture, repeat the process after the first coating has harden. The more coating you had the whiter it will be. add 2 tablespoons of water to a large bowl and sprinkle the water with gelatin powder. Set aside. remove from freezer and insert a wooden stick in the center. Sprinkle top with chopped macadamia nuts and mini chocolate chips if desired. Please share your healthy summer desserts! “Should We Try to Be Happy?” SEIU Healthcare. N.p., n.d. Web. 23 May 2016. “Coconut, Salted Caramel, and Chocolate Popsicles (paleo, Primal, Vegan, Dairy-free, Grain-free, Gluten-free, Egg-free, Soy-free).” The Foodie Teen. N.p., 27 June 2014. Web. 23 May 2016. “Strawberry Lemonade Smoothie (Dairy-Free Recipe).” Go Dairy Free. N.p., 10 July 2015. Web. 23 May 2016. “The Busy Baker: Dairy-Free Mango Coconut Sorbet #FoodieMamas.” The Busy Baker: Dairy-Free Mango Coconut Sorbet #FoodieMamas. N.p., n.d. Web. 23 May 2016. “Ice Cream Bar with Raspberry & Coconut |Dairy Free – Sweetashoney.”Sweetashoney. N.p., 10 Feb. 2016. Web. 23 May 2016. “Creamy Chocolate Pudding Pops (paleo, Gluten Free, Dairy Free).” Living Healthy With Chocolate. N.p., 03 Sept. 2014. Web. 23 May 2016. 5 Ways To Keep Mosquitoes Away Naturally! Coverage of the Zika virus is in every news report. Pregnant women and couples seeking to get pregnant are encouraged to avoid areas prone to mosquitoes. Olympic athletes are concerned about going to Brazil this summer and the U.S. swim team has decided to train this summer in Atlanta instead of Puerto Rico where mosquitos are prevalent. On top of all that, mosquito bites are just annoying and can be a health concern for reasons other than Zika. There are lots of insect repellents on the market but is dousing ourselves in chemicals the answer? Here are some more natural ways to keep those pesky bugs away. Essential Oils. In a recent report, the “CDC finally admitted that products using oil of lemon eucalyptus (OLE or PMD) can provide longer lasting protection against mosquitoes, just as the toxic chemical bug repellent DEET does.”  This is great news considering that many people experience side effects from DEET such as skin irritation, rashes, numb or burning lips, headaches, dizziness, nausea and difficulty concentrating. You can buy the essential oil on Amazon or a natural grocery store. Repel also makes a great spray with lemon eucalyptus as the active ingredient. To make your own bug spray, you’ll need a 10-ounce spray bottle, and some simple ingredients. • Add the distilled water and witch hazel to the 10-ounce spray bottle. • Then add a total of 30 to 40 drops of essential oil. 4. Prepare your yard by eliminating any standing water aka mosquito playgrounds. 5. Wear socks, pants, and long-sleeve shirts. You will still need to wear insect repellent on your exposed skin, but not as much! Summer is here. It is possible to enjoy the great outdoors and still keep your family safe from mosquito-borne illnesses and unnecessary chemicals. Do you have a natural insect repellent recipe or suggestion that works? Are we sure we are getting all we need from the foods we eat? Is our stomach absorbing the nutrients from the foods properly? Did you get the proper amount of vitamin D today? Are you eating organic fruits and vegetables? Many of these fruits and veggies are genetically modified therefore you are losing nutrients. How often do you eat fiber? Fiber is not just to help with bowel movements it helps slow down the food so the intestines can absorb the vitamins and minerals better. If you have any intestinal issues, lactose intolerance, IBS, Celiac, diverticulitis or Crohn’s, you are not absorbing nutrients properly no matter how great your diet is. 1. Balance Your Body’s Chemistry. If you are struggling with health issues, get tested by a qualified functional medicine practitioner to find out how to address these issues. Functional medicine doctors use dietary changes and supplements to bring your body back into balance naturally. Improper farming practices deplete the soil of nutrients. When plants are repeatedly grown on the same land, the soil loses nutrients faster than they can be replaced. Over time, the plants have fewer nutrients to grow. Fertilizer contains just enough nutrition for the plant to survive until harvesting, but not enough to support human health. .
Several studies have shown kids need more nutrients to support growth, and older people need more nutrients due to malabsorption. As people age, they often begin taking medications which can interfere with nutrient absorption. This means you need to take more nutrients in the most absorbable form possible. Your body needs nutrients to deal with toxins. When more toxins are present, you need more nutrients. If you’re living in a cave or the garden of Eden, this will be less of a concern. If you’re like the rest of us mortals – you’re exposed to a litany of toxins on a daily basis. . Athletes often think lots of exercise is the key to a long and healthy life (it’s not). They are among the first to denounce supplementation as unnecessary, often with the idea that exercise is the best medicine. For most people, it is not necessary to exercise for hours each day and, in fact, this can stress the adrenal glands. It can also substantially deplete energy reserves since you are using stored nutrients for energy production and recovery. Before engaging in any strenous exercise routine, you should consult a functional medicine doctor to find out how you can supplement the nutrients that may be lost during the exercise and recovery period. As for what supplements to take, talk to your functional medicine practitioner and buy quality vitamins. Click here for an article about the types of supplements you should buy and how to get the most from them. What Foods Are Inflaming You? 2 Ways to Find Out! Your Favorite Food (Even Healthy Food) May Be Causing Inflammation in Your Body! So as time went on, I graduated high school and went on to college and continued to live the same lifestyle. I was as active as you could be, playing sports and eating anything I could get my hands on (as any good college student does) because I didn’t think anything of it. If I got heart burn I would just pop a little purple pill and my stomach and esophagus would settle. Well that lasted until I was about 22 years old. I would get flared up from certain foods and next thing I was taking two purple pills to make my esophagus feel better. I had isolated what foods and events were triggering me to have this discomfort and that is about the time I started to wise up, I just stopped eating those trigger foods and my heartburn stopped. I like to share this story because it is one of the personal examples of how I began to figure out which foods were the ones to eat for optimal health. You must listen to your body when it comes to foods. If a food flares you up in one way or another, it is best to avoid that food and let at least six months pass before considering introducing that food back into your diet. Foods may not always exacerbate a symptom that you can feel but they may trigger other unwanted responses in the body. Most often that negative response deals with the immune system. 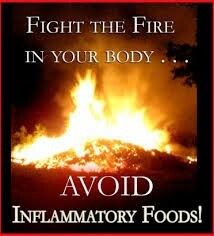 Foods are inflammatory in two ways: (1) flare your immune system; or (2) flare up various tissues in your body. [Click to Tweet] Here are 2 ways to find out if what you are eating is causing inflammation in your body. I have had multiple patients come into the office that have never noticed any reactions to a food but when we do food sensitivity testing, the results show that the are sensitive to 10 different foods. Food sensitivity testing can tell you if a certain food flares up your immune system. [Click to Tweet] Foods can often mimic other natural chemicals in your body and bind up receptor sites that aren’t really meant for them. This can cause a response in the body that excites the immune system and can ultimately lead to inflammation of a variety of tissues. In this case you must test and not guess. Otherwise, you will never know if a food is flaring up your immune system. This is different from my example where I would eat a food and it would make my esophagus burn. It was often highly acidic foods that would upset my esophagus. Many patients in the past have reported foods giving them brain fog, gas, bloating, or even headaches. When foods trigger negative side effects, then they are inflammatory and you must avoid them to allow the body time to heal. A great case I had helps explain how one food is inflammatory to digestive tissue but not inflammatory to the immune system. I had a 14-year-old female present with lactose intolerance and other digestive ailments. We did a full work up on her and decided on a complete food sensitivity panel to help figure out foods would be best for her. Sure enough, she did not have an immune sensitivity to dairy but she still could not eat dairy because the lactose in dairy products caused her stomach to hurt and give her loose bowel movements. So in her case the dairy made her digestive cells irritated but did not cause an immune reaction. Another practice to find out if a food is causing inflammation in the body is to have a qualified practitioner muscle test you for certain foods or food groups. Muscle testing dates back to ancient times and various practitioners around the world us it to help heal those they are testing. You can tell you whether or not a food energetically is the best for you to eat by holding a certain food and performing a muscle test. [Click to Tweet] Muscle testing is performed on almost anyone, even infants, and is an effective method of analysis for natural healers alike. If you or anyone you know has any doubts in their mind about the foods they are eating, have them read this blog and consider the options to figure out which foods are the best to put in their body. Should you not know where to get tested for food sensitivities or if you have any questions, then comment to this blog and I can point you in the right direction or bring you in to see me! There is an extreme amount of controversy over the subject of macronutrients. More specifically, the carbohydrate has been a hot topic since the days of the “low carb” weight loss craze. I hope to challenge your thinking about the food you eat and inspire you to dive deeper into the discussion of the food you put into your body every day. I have had a passion for food and the way it affects us ever since a young age. I started wrestling in 6th grade and have thought about the food I eat ever since. Back in the day, I would only worry about food as it related to my weight because I was trying to make my weight class every weekend to wrestle. Since then, my thought process has evolved. The macronutrient potential of foods is only one small aspect of how our bodies utilize the food we eat, but it is necessary to understand because of the large impact on the way you feel and function. Macronutrients are classified into three categories: Fat, Protein, and Carbohydrates. Each food contains some degree of macronutrient ratio and this becomes important when an individual is trying to find a diet that is suitable for their lifestyle. The goal is to find the right combination of macronutrients for you to maximize your potential. What is normal for one may not be normal for the next. I have found through my functional medicine practice that people are individuals and should never be set into “guideline”. I have found personally with my nutrition that I don’t function best underneath a “guideline” all the time. Sometimes you have to think outside the box or color outside the lines. Many have limited their thought to mechanistic reductionist ideologies and this mold must be broken. Once we decide as a whole to express a greater and higher intelligence in ourselves then maybe our society and world will function better as a whole. The power that made the body heals the body! In other words, you must experiment or consult a functional medicine doctor to find out the right combination of the 3 macronutrients, including carbohydrate intake for you! It will likely be different than for other people. Sure, you can drastically reduce your carbohydrate intake and lose weight. But, is that what it’s all about – just losing weight? Or, do you want to feel great as your body functions at its best possible capacity? Also, is a ridiculously low carbohydrate intake a long-term solution? Can you eat like that forever? 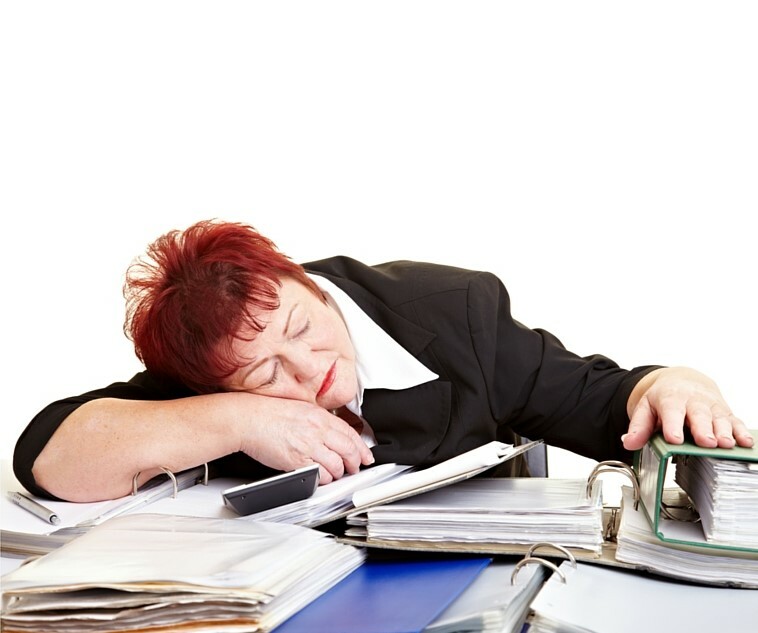 What the Heck is Adrenal Fatigue & What Can You Do About It? We all deal with stress in our lives in one form or another. Our bodies deal with stress in many ways but did you know that the adrenal gland is the workhorse when it comes to dealing with stress?? Dr. Keith Ungar, D.C. states in his book, Your Thyroid Chemistry Doesn’t Lie, “The adrenal glands are the most overlooked and neglected glands in conventional medicine.” I have seen thousands of patients in my practice and I agree with Dr. Ungar’s statement. When I first review my patient’s case history, I rarely see that any lab results that would allow me to do a proper adrenal evaluation. Adrenal testing typically uses markers to rule out some underlying pathology, such as adrenal tumors, or are to check a single cortisol marker to make sure it is not at a dangerous level indicating a possible underlying life-threatening pathology. As explained below, testing the adrenal glands in this way is not enough. The adrenal gland is a magnificent organ that produces a variety of important hormones that many are familiar with such as the adrenaline hormone epinephrine. So what’s the big deal about the adrenals anyway??? Adrenal fatigue is a problem that people often overlook when trying to seek answers about their own personal health. Dr. James Wilson PhD describes some of the symptoms of adrenal fatigue as trouble getting out of bed, feeling run down and stressed, chronic tiredness and the constant need for coffee or energy drinks for the caffeine jolt. I agree that these are often symptoms associated with abnormal adrenal findings. Adrenal fatigue is something that can be supported through lifestyle and nutrition. [Click to Tweet] If your lab tests come back and objectively show that your cortisol is out of balance then try following these few helpful guidelines to allow the body to heal over time. Consider finding a functional medicine doctor who will order full functional testing to find out why your adrenal glands are not functioning properly and follow his or her instructions to balance your body’s chemistry. Perhaps it’s a hormone imbalance or something going on in your digestive system. Don’t dwell on the future or the past. Focus on the now. As I said before we all deal with stress. If you find yourself always thinking or telling people, “I’m so stressed,” then first evaluate your life and try to remove any unnecessary stressors over which you have control. Once you have done that, consider running an adrenal panel to see if you have abnormal adrenal findings and if you do, run other functional testing to find out why. The results speak for themselves and if you do have issues then dig in and do the things you need to do for a better state of health. Ungar DC, Keith: “Your Tyroid Chemistry Doesn’t Lie” page 79.